So, Who is Trans Tank International? Rapid Spray Southern has recently re-branded and for us, it is a big thing. 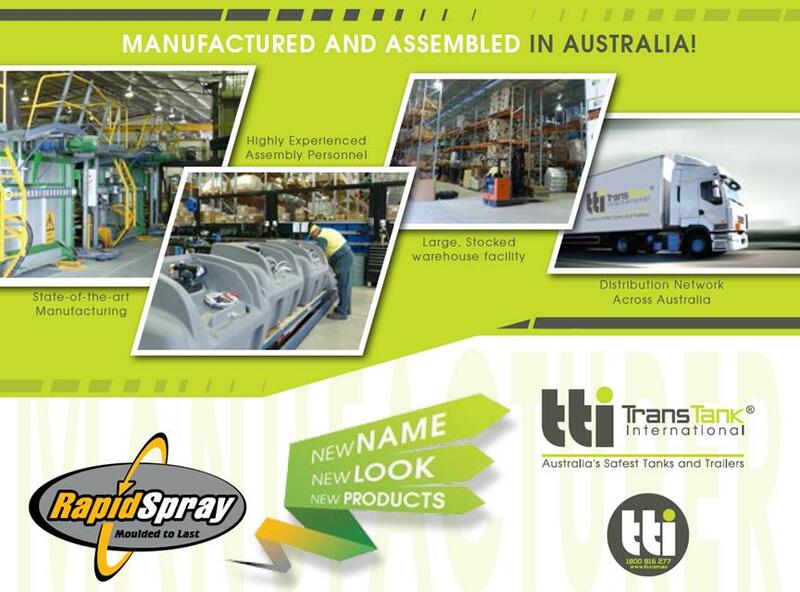 Our new trading name is Trans Tank International and our focus is on providing our valued clients with products that are tried, proven and SAFE for use in Australian conditions, by drawing on the experience and methods used in the industry internationally. Is that enough? No! We want to offer you more than that! Our pledge is to provide you with products that represent outstanding value for your money, and give you the edge in your field. Trust us. We look forward to hearing from you and establishing a lasting and mutually beneficial business relationship. Speak soon!